The 4766 dwt freighter Spirit of Resolution lost power and went aground in the main channel of Manukau harbour, New Zealand. The vessel was refloated by the assistance of a tug and berthed atOnehunga. No reports of damage or pollution being released. The 80-foot fishing vessel Vicious Fisher sank near La Push, Washington. The vessel had contacted theCoast Guard for assistance stating the vessel had uncontrolled water ingress. The crew attempted to pump water from the hull, but were unable to keep up. The Coast Guard was able to rescue all 5 crewmembers . The vessel sank in 360 feet of water preventing any salvage. Reports state there are concerns about pollution due to the 3,800 gallons of diesel fuel onboard when the vessel sank. The vessel rests in the Olympic Coast National Marine Sanctuary which is the home to a diverse number of seabirds, fish and other animals. The vessel Livarden suffered egnine failure while heading to Kristiansand, Norway. 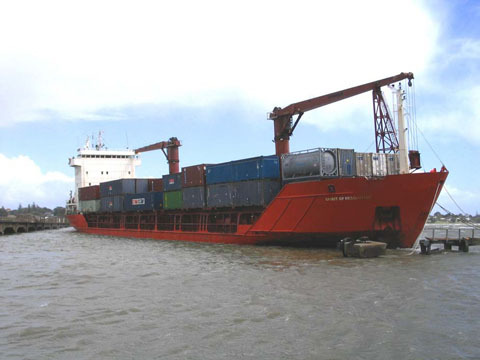 The vessel was taken under tow by the tug BB Connector which was able tow the vessel back to Kristiansand, Norway.